Fans of the original McLaren F1 would be delighted to know that there will soon be a new hyper car from McLaren with the same magical three-seat layout. The British carmaker, in fact, has confirmed details of what’s being billed as the world’s first ‘Hyper GT’. This new model will be the most special and luxurious road-going McLaren till date. Development of the car, codenamed BP23, standing for Bespoke Project 2 and featuring three seats, will be carried out by MSO (McLaren Special Operations) with production limited to 106 units. Rather shockingly, all of the 106 units have already been pre-sold. The BP23 will borrow the three seat layout with the central driving position made famous by the iconic F1. The car will be housed in a streamlined, shrink-wrapped carbon fibre body. 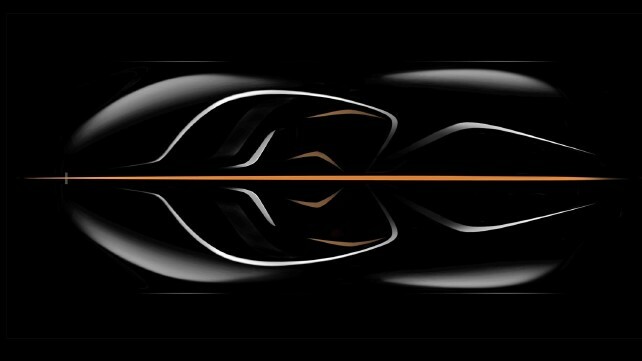 Mechanically, a hybrid powertrain will make it one of the most powerful McLarens yet. Like the F1 and all of McLaren’s road and track cars, the BP23 will feature dihedral doors, but in here the doors will be powered for the first time with apertures extending into the roof. According to McLaren, design work for the BP23 has begun and first examples are expected to be delivered in early 2019. Production is being capped at 106 units which are exactly the same as the number of McLaren F1s produced.